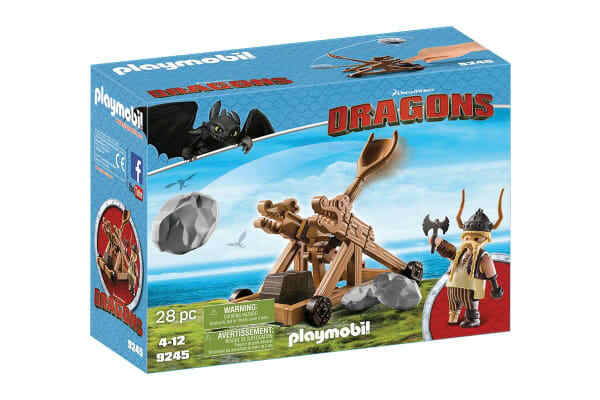 Prepare for the battle with the Playmobil How to Train Your Dragon Gobber with Catapult playset! 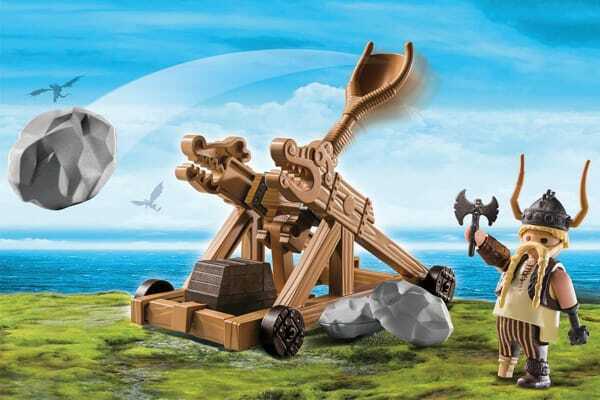 Join the most loyal Viking around as he defends Berk with his trusty catapult. Known for his skills of making dragon-friendly gadgets, his loyalty to Berk and their fire-breathing friends is no match for any enemy. 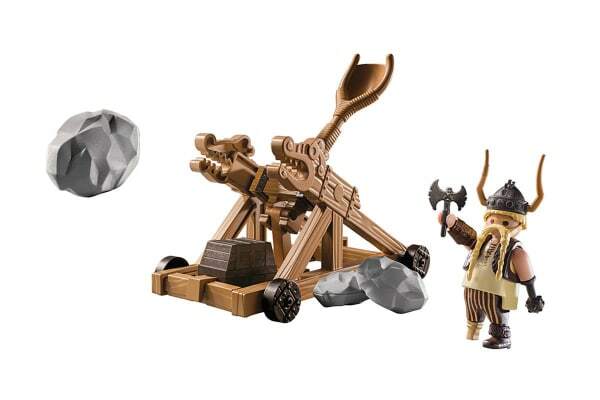 The Playmobil How to Train Your Dragon Gobber with Catapult set also includes boulders and Viking helmet.